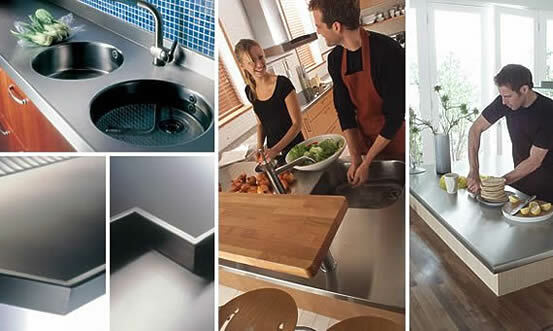 Stainless steel units provide a hardwearing surface with stunning visual appeal and is a popular choice for modern kitchen design. To soften its industrial feel, stainless steel looks superb mixed with other materials such as timber or composite stone. Website © 2019 JBL Kitchens Norfolk. Website design: Wayne Beauchamp.